Presentation at the IAEA Consultancy Meeting on Innovative Small Reactors without On-Site Refuelling - March 15-17, 2004. FBNR : Paper presented at the IAEA Technical Meeting June 7-11, 2004. 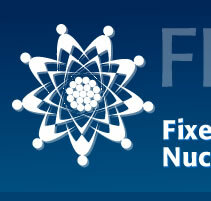 FBNR Letter 01 – Request for the proposal for the IAEA Coordinated Research Project. FBNR Letter 02 – FBNR meets the IAEA requirements. FBNR Letter 03 – How are the innovative nuclear reactors? FBNR Letter 04 – How to form the World Nuclear Energy Company (WONEC)? FBNR Letter 06 - The IAEA-CRP is offering 5 contracts for FBNR project. Do you want to participate? Make your proposal now! FBNR Letter 07 - The IAEA gives “Research Contract” to developing countries and “Research Agreement” to the industrialized countries. Enclosed are the appropriate forms. FBNR Letter 08 - The estimated dimensions and volume fractions of the materials in the FBNR module. FBNR Letter 09 - The proposals for the IAEA Coordinated Research Projects (CRP) on FBNR for the first year should be within the scope of the activities defined by the IAEA. Here is the list of 6 activities. FBNR Letter 10 - Some suggestions concerning the research problems of FBNR. FBNR Letter 11 - FBNR is a non-proliferation nuclear reactor. FBNR Letter 11A - FBNR is meant to be a fool proof non-proliferation nuclear reactor. Take it as a challenge to prove or disprove this claim! FBNR Letter 11B - FBNR is claimed to be a fool proof non-proliferation nuclear reactor. FBNR Letter 11C - "A fool proof non-proliferation nuclear reactor concept", Kerntechnik 70 (2005) 4. FBNR Letter 12 - Request for a simplified expression to estimate the criticality behavior of the FBNR. FBNR Letter 12A - The solution offered by Dr. Raymond Murray to the problem posed in the FBNR Letter No.12. FBNR Letter 13 - Invitation to participate in the presentation of a paper on FBNR at ICONE-13. 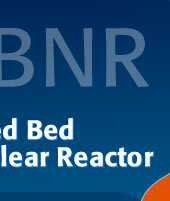 FBNR Letter 14 - Schematic Design of the Fixed Bed Nuclear Reactor- FBNR. FBNR Letter 15 - The estimated dimensions and volume fractions of the materials in the FBNR module. This is a revised version of FBNR Letter 08. Presentation at the Research Coordination Meeting (RCM2005) on Small Reactors without On-site Refuelling (SRWOR), Vienna, November 21-25, 2005.